I tried placing the gold in different locations within the pyramid in the centre like a heart, at the bottom on the outsides as a coating using a laminating resin but the best by far was when I place the gold at the tip of the pyramid. 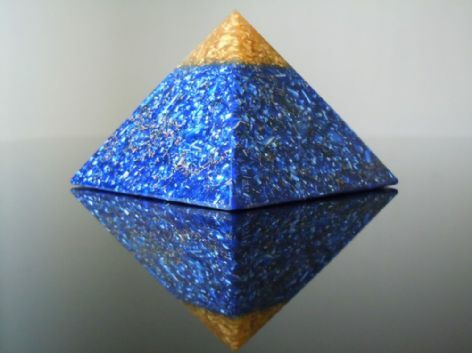 As the great Giza pyramid had once a gold tip it seems to activate the Orgone pyramid, stimulating the whole device and Crystals within allowing this function exceptionally well. Inside each device a put a base mix of 5 Double Terminated Quartz Points, Kyanite, Selenite, Quartz Powder, Shungite, Pyrite, Aluminium, Copper, Titanium, Tin, Brass and Sun Dried Colloidal Silver. 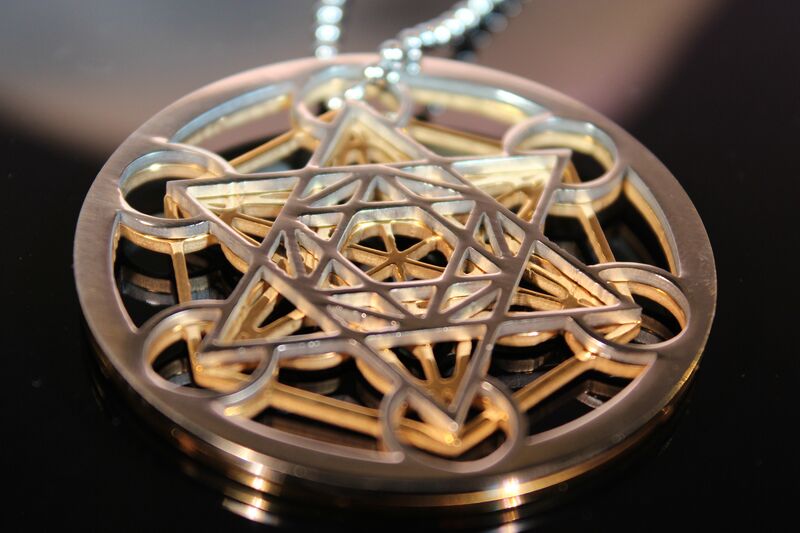 This device is perfect with use with a radionics machine. I have created a meditation device that you can use to achieve a deeper meditative state I firstly chose the colour Blue this is because this colour is connected with Peace, Tranquillity & Serenity. I would then match this with corresponding crystals such as Blue Lace Agate, Sunstone, Ametrine, Prehnite, Mookaite & Serpentine these have all been used for hundreds of years by Native American Indians, Shamans, Light workers and Psychic's to go into a deep Zen like trance or meditation. 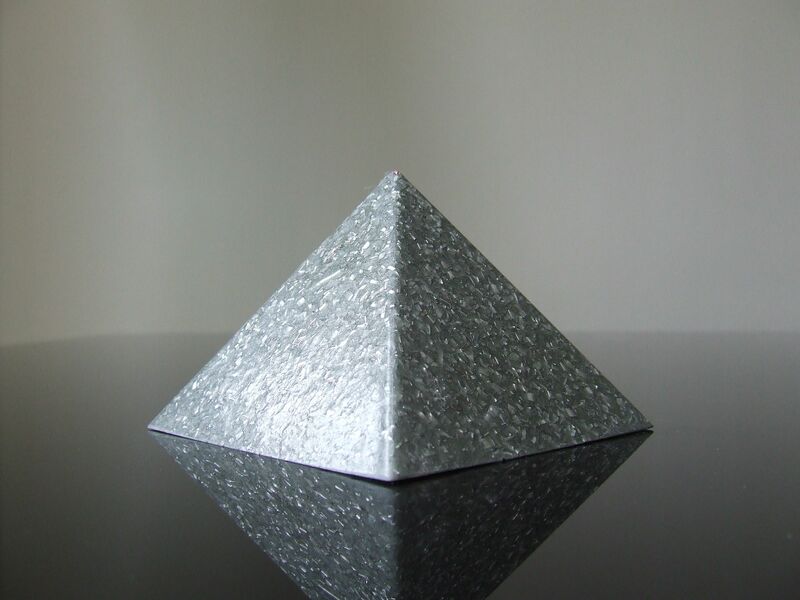 The ability to achieve a deep state of meditation takes many years, however this Photon Orgone Pyramid you will be able to achieve a deep Zen monk like state of meditation within weeks or months, by following my simple guide, holding and meditating with the Photon Orgone Pyramid you will be able to achieve a very deep meditation state very fast. We have created a device to help with Attracting Love and Self-Love I firstly chose the colour Red this is because this colour is the best for love and Romance. 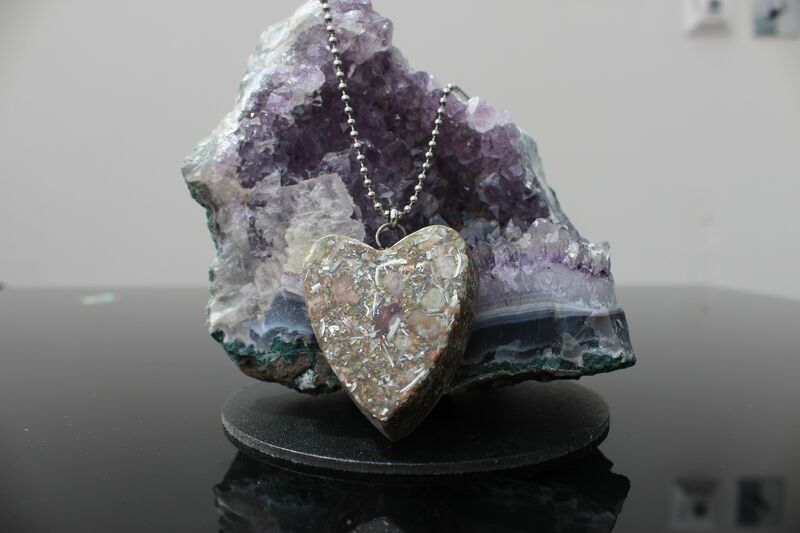 This Orgone device has been customized to create a romantic relationship or enhance self-love. It includes the love stones Rose Quartz and Emerald. Jade brings in some extra luck, while Moonstone and Selenite help you connect to our intuition in the process of finding love. Malachite comes in to ease you through the transition. Hematite, Amber, and Sunstone bring in some extra energy for the process. And finally Blue quartz and Turquoise are used to block any negative influences in the way or your love. Everything around us is made up of atoms and they can communicate within each other by sending electrons this is done, for example in the same way as we communicate with each-other by talking, we are basically atoms sending signals (electrons) to each other. Electrical devices such as Mobile (Cell) Phones, Routers, Laptop's, Computers, I pod’s etc. send out electrons but they are not harmonised, this causes our system to become out of synchronisation causing us to become stressed, develop illnesses, more allergies, put on weight along with many other issues. Crystals and anything from the earth possesses harmonised electrons this is why Photon Orgone have many of them in orgonites due to the volume of crystals used. The metals within the polyester resin casing of the orgonites attract the negative electrons it is then pushed through the crystals and then the negative electron comes out harmonised. This device and Guide could change your life forever!